Recommended Reading For New and Advanced Sailors: Shop our books on sailing below! 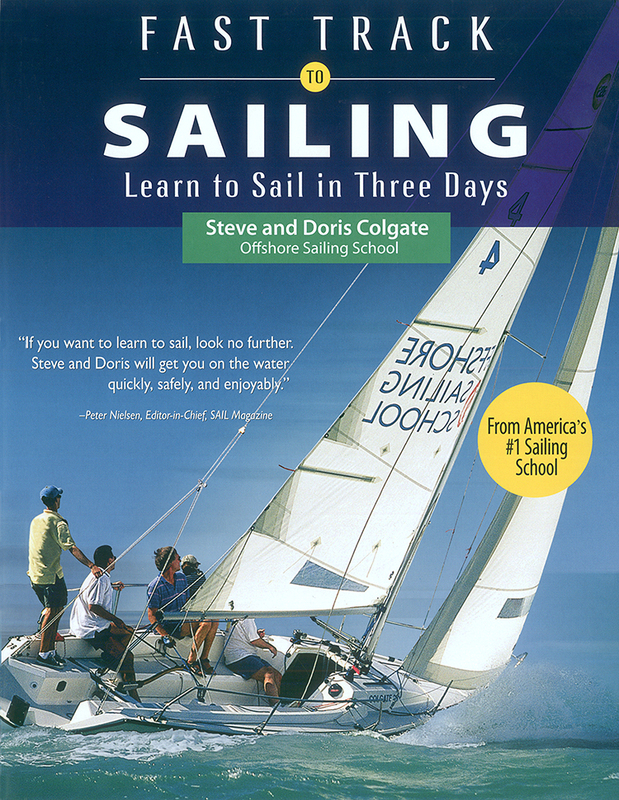 Easy to read in full color, Fast Track to Sailing by Steve and Doris Colgate is the textbook for Offshore Sailing School’s Learn to Sail Certification Courses. Excellent for new sailors, great review for returning sailors, this sailing instruction book goes beyond the basics, starting with the language of sailing and how it applies to maneuvers aboard, to providing the theory and skills that make handling mid-sized sailboats a breeze. 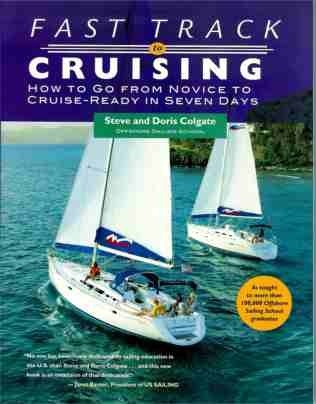 Fast Track to Cruising, written by Steve and Doris Colgate, is the textbook for Offshore Sailing School Fast Track to Cruising Courses, Live Aboard Cruising and Bareboat CharterCourses. No other sailing book takes you from beginning maneuvers on a tiller-drive keelboat to docking big cruising boats with confidence as efficiently as this book does. This sailing instruction book also includes learning navigation skills and routine diesel engine maintenance, giving you the skills and information for big boat ownership and bareboat chartering. Performance Sailing and Racing is by veteran racer Steve Colgate, who shares his wisdom on sail control, sail trim, boat handling, racing tactics, and all the factors that let you sail your boat better, safer, smarter and faster. 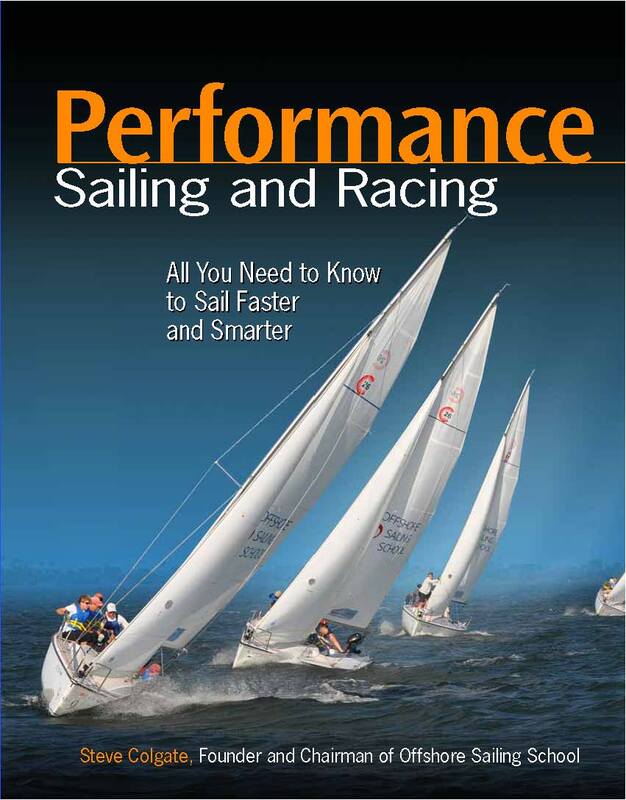 This is the textbook for Performance Sailing Courses. It’s clear, colorful photos and graphics, illustrate what you need to know to be a savvy performance sailor. The key to becoming confident, comfortable and in control is learning how to handle a sailboat in every situation. 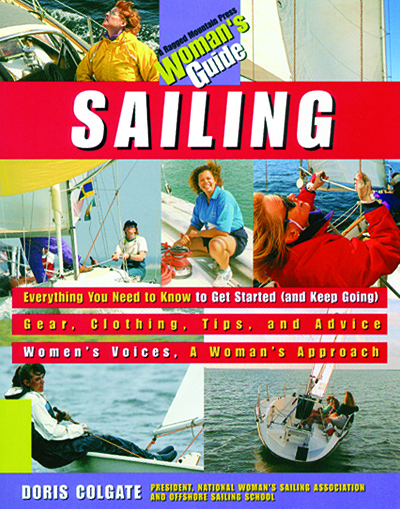 This popular sailing book addresses concerns often expressed by women, with anecdotal commentary from expert women sailors. Provided to participants in all Offshore Sailing School women-only programs, it empowers women to embrace the sailing lifestyle with confidence and ease. 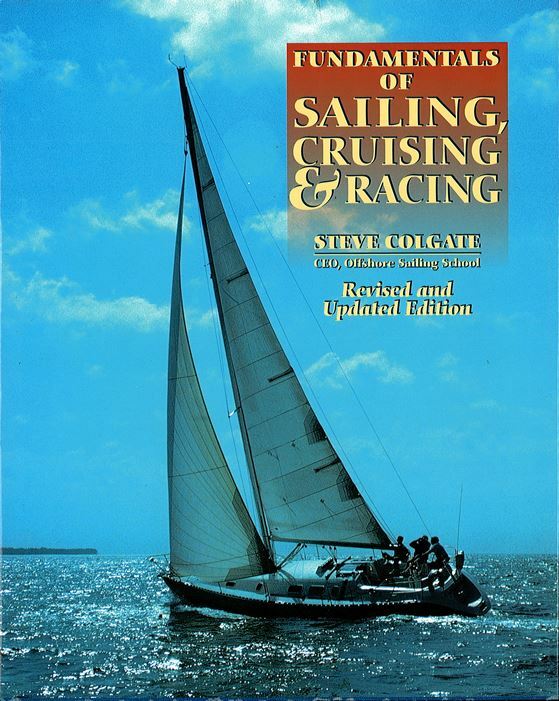 For novices and experienced hands – this comprehensive sailing instruction book by Steve Colgate is an acclaimed primer on sailing, cruising, and racing. It equips you with all the skills and knowledge needed to become an expert sailor, covering everything from the basics of sailing theory to what you need to know to enjoy the freedom of cruising and the excitement of racing. A great read, the book is packed with real world tips and techniques acquired over years of sailing, racing, and teaching sailing. Steve Colgate on Sailing covers the what, how, why and when of sailing, cruising and racing. 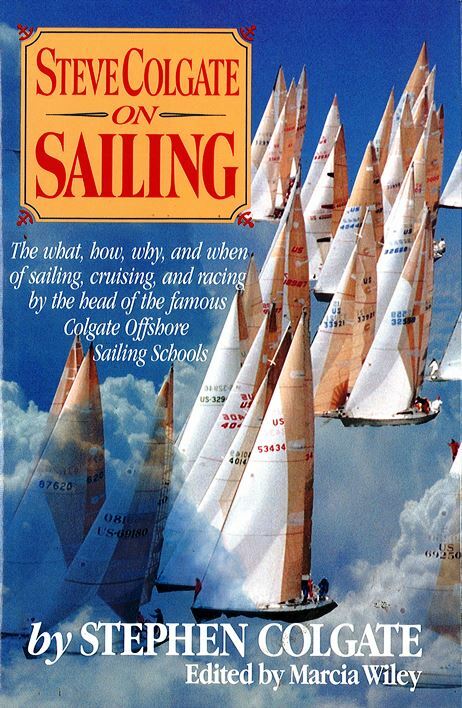 This incomparable sailing book is for anyone who wants to become a well-rounded confident sailor, covering why a boat sails and what produces speed, how and when to fly a spinnaker, boat handling under sail and power, reading and understanding wind, navigation, racing tactics, safety and medical problems aboard. This book is the perfect companion for novice sailors and anyone who wants to quickly refresh their sailing knowledge. 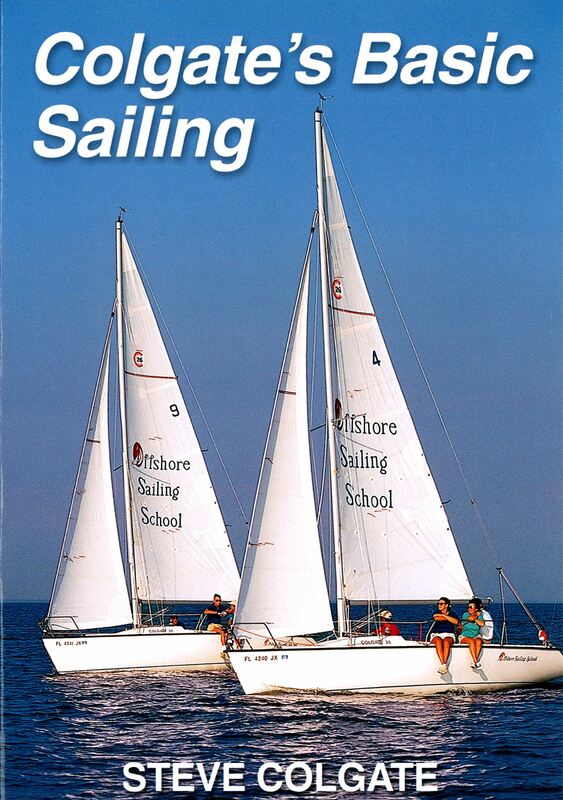 It is the textbook for Offshore Sailing School Intro to Sailing Courses, Corporate Sail-Race Challenge®programs, special sailing events for children, and other non-certification courses. Publisher: Offshore Sailing School, Ltd., Inc. This is the perfect primer for anyone contemplating a bareboat charter or just interested in brushing up on cruising knowledge and skills. It covers the basics, from provisioning your boat to detailed maneuvers required for different docking and mooring techniques and is sent to those in Bareboat Cruising Refresher Courses. Basic Keelboat is the first step in the US Sailing Certification Series and sent to anyone who opts for US Sailing in the Learn to Sail Certification Course and provides a strong foundation to build sailing skills for safe, confident day sailing. To maximize your enjoyment on the water, you need confidence in yourself, your boat, equipment and crew. 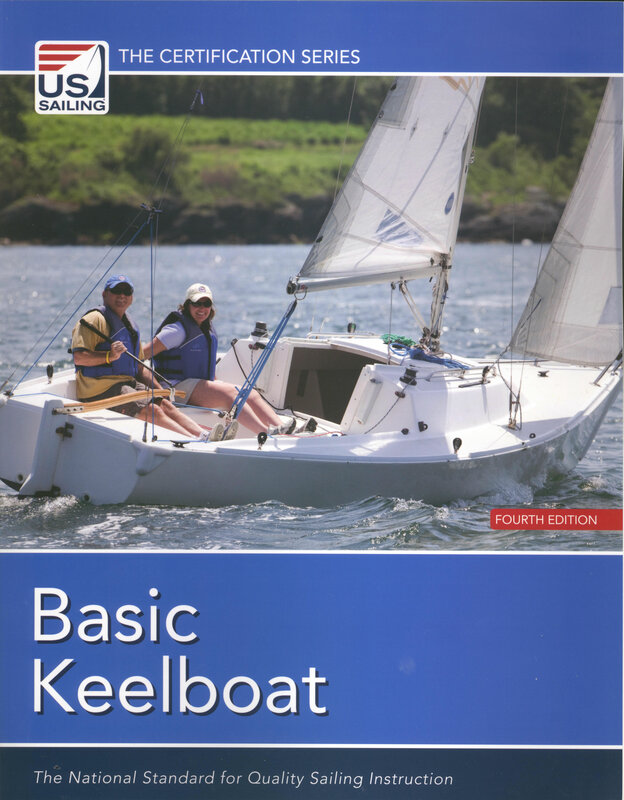 In this fourth edition of Basic Keelboat, new sailors learn the basic skills to handle a boat up to 30’ safely. 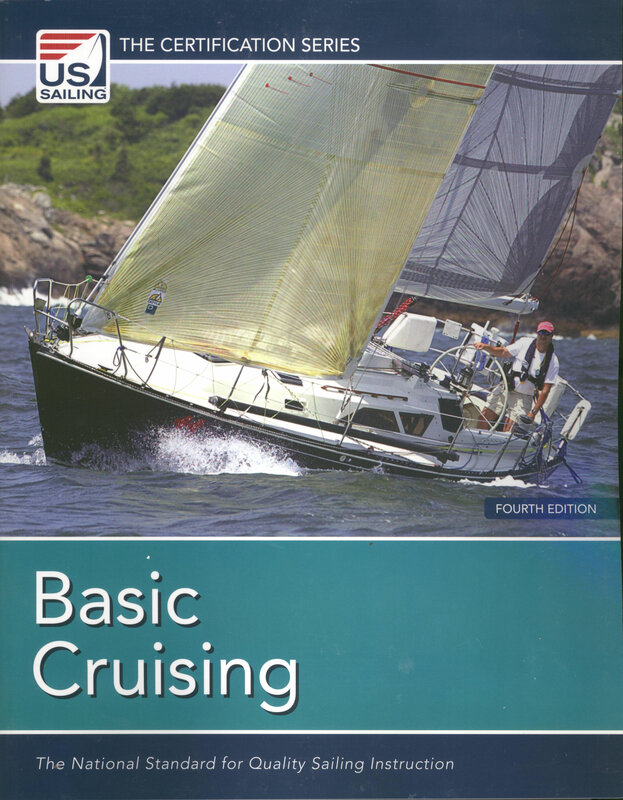 Basic Cruising is the second step in the US Sailing Certification Series and addresses learning to cruise on a small to mid-sized cruising boat. 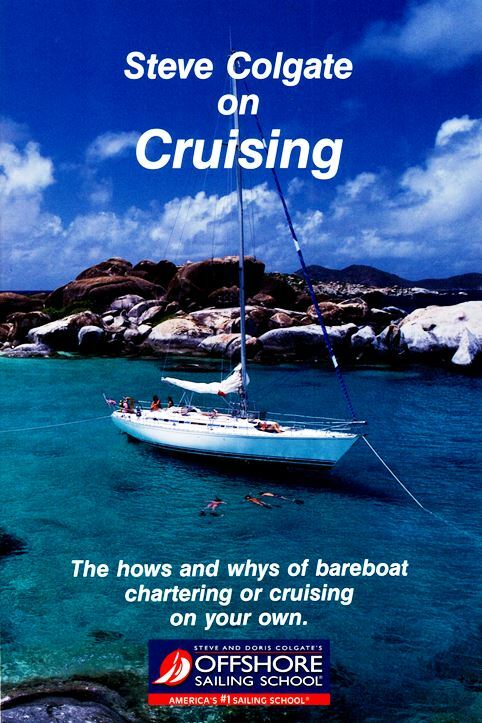 It is one of two books sent to anyone who opts for US Sailing Certification in Live Aboard Cruising and Bareboat Charter Cruising Courses, starts with an introduction to cruising and takes you through skills and maneuvers to safely and comfortably handle cruising boats under sail and power. 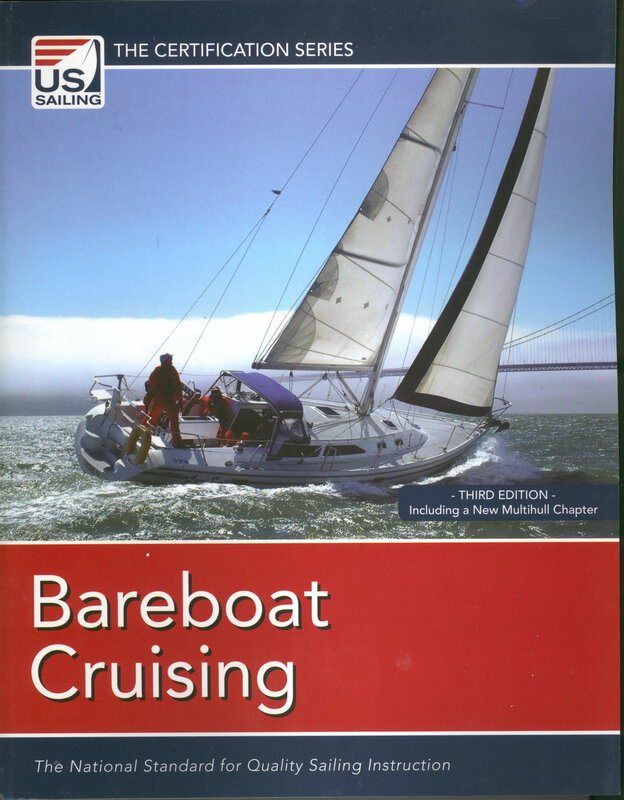 Bareboat Cruising is the third level in the US Sailing Certification Series and provides knowledge and techniques for properly and confidently handling sailboats over 40’. It is sent to all those who opt for US Sailing in the cruising courses listed for the Basic Cruising textbook above, and covers knowledge and techniques for successful bareboat chartering. 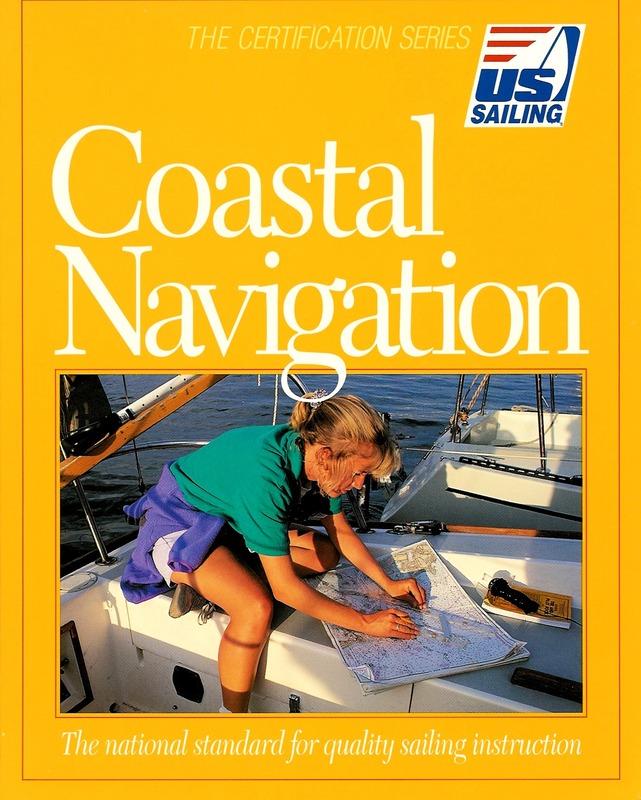 Coastal Navigation is the 4th level in the US Sailing Certification Series, and the text for Offshore Sailing School Coastal Navigation Courses. It covers piloting with traditional means – charts, parallel rules, dividers – giving you strong knowledge for backing up electronic navigation aids batteries and electricity aboard fails. 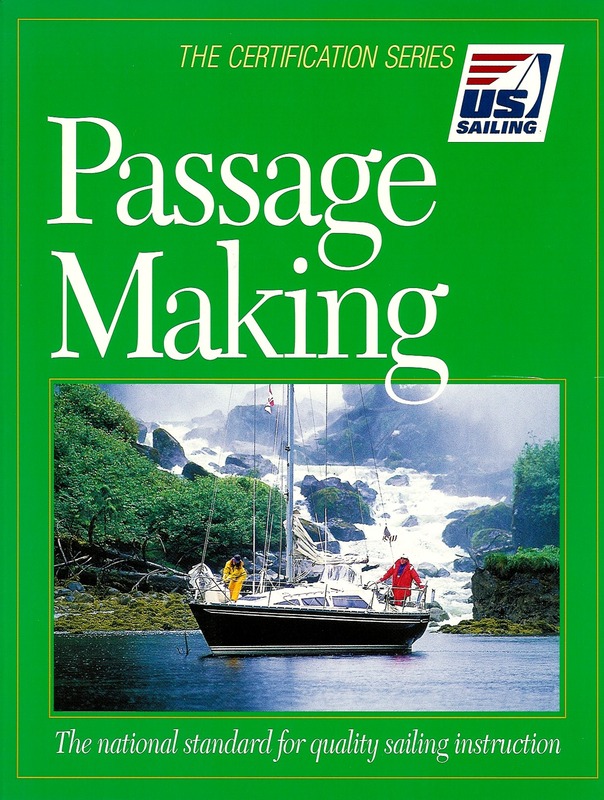 This is the fifth level in the US Sailing Certification Series and is the text for Offshore Sailing School Passage Making Courses. This book about sailing covers the skills and knowledge needed for extended sailing along coasts and in open seas, night sailing, standing watches, voyage preparation, navigation, weather and safety at sea. 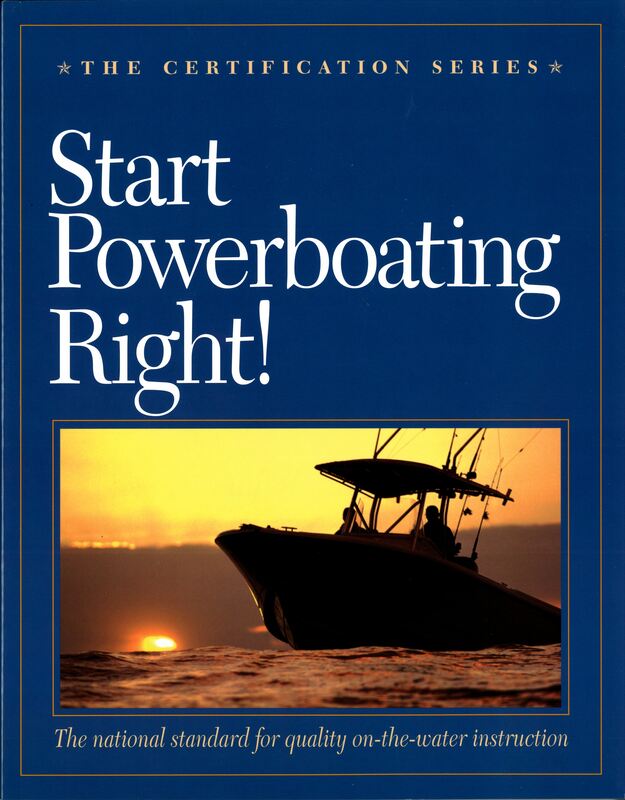 This is the text for US Powerboat Certification, used in Offshore Sailing School’s Fast Track to Power Cruising Courses. It covers outboard motors and inboard engines, all systems aboard, maneuvering in various wave and weather conditions and on a plane, changing speeds, weather, tides and currents, navigation rules, safety, emergency procedures, docking and securing your boat.